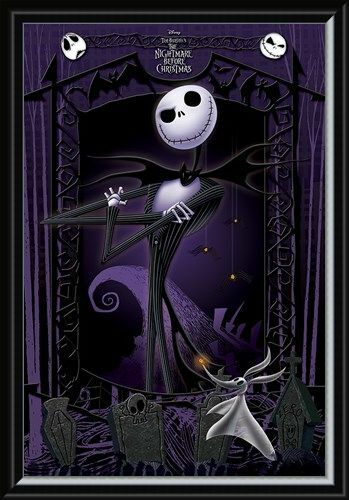 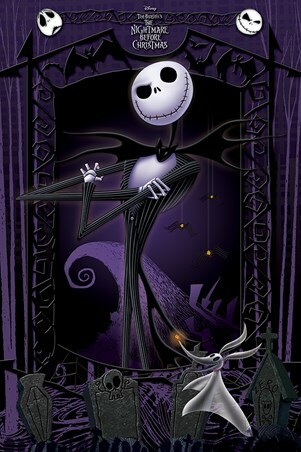 From Tim Burton's iconic film comes Jack Skellington - Pumpkin King - to display on your wall! With the image displaying the film's protagonist, with his trusty sidekick Zero, against a black and purple graveyard background, show your friends the true meaning of Christmas...and Hallowe'en with this physical appreciation of an animated masterpiece! High quality, framed It's Jack!, The Nightmare Before Christmas poster with a bespoke frame by our custom framing service.